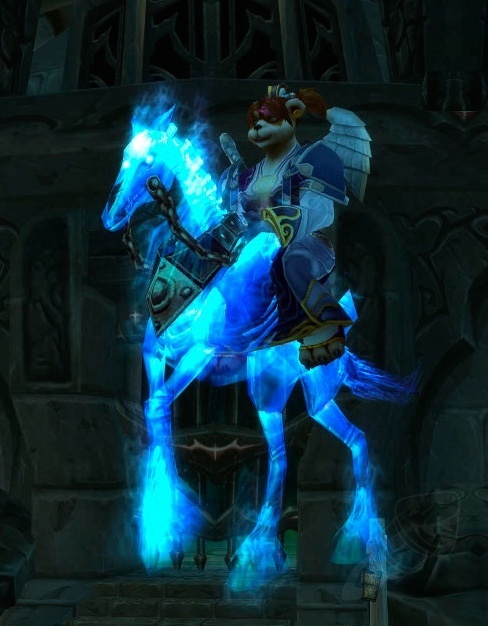 Emits violet vapour from mane and hooves. 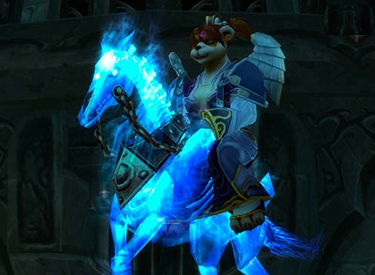 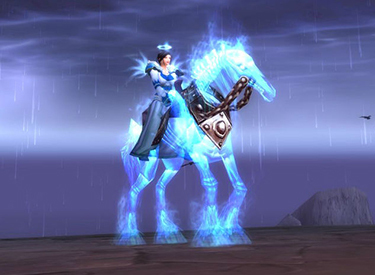 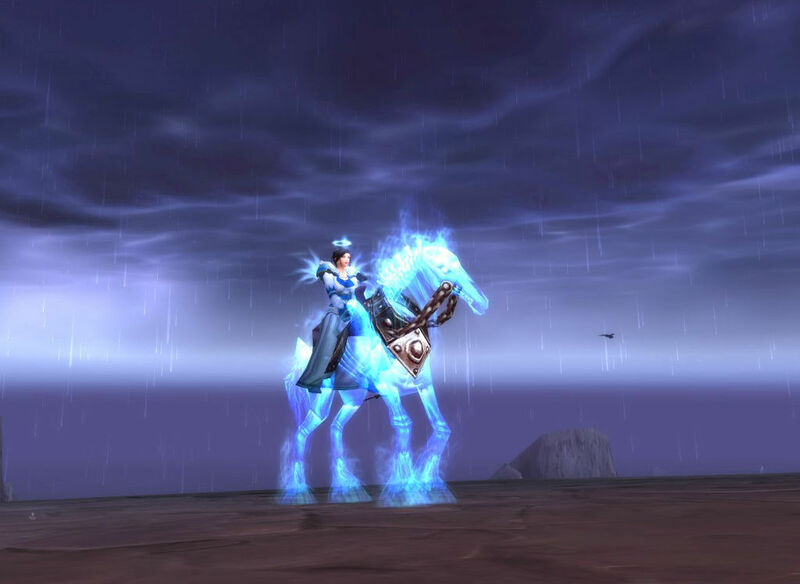 Mount automatically adjusts speed to your character highest flying/land riding skill. 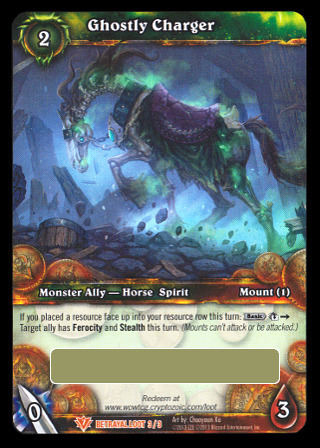 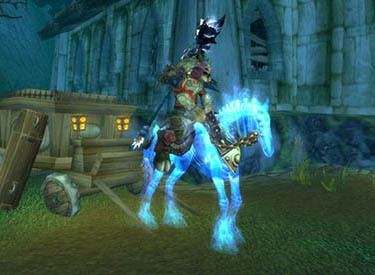 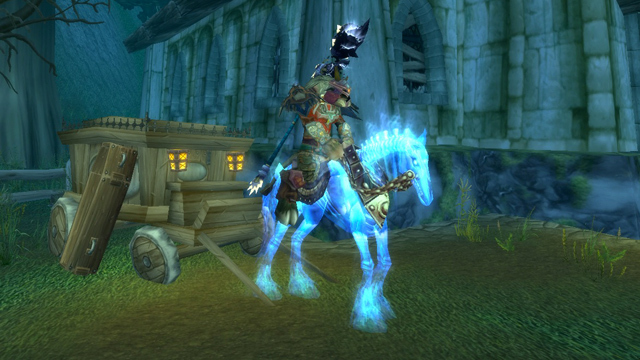 When learned, the charger mount counts toward the Mountain 'o Mounts achievement (Horde or Alliance).